Christiana is hypermobile. She was diagnosed with Fibromyalgia and chronic fatigue in 2009 and had been bed-ridden and unable to work since. Christiana wanted to find a balanced level of energy to sustain daily activities and to learn to use her body in a safe way to build strength. Christina’s osteopath agreed that Yoga for Pain would be a good way for Christina to take control of her body and create new habits to build physical and emotional resilience. Yoga can help people with hypermobility to develop body awareness and find stability in their joints. Hypermobility can be linked to other conditions like fibromyalgia, and in these cases yoga can also help with stress and act as a gentle re-introduction to exercise. But many yoga classes focus on stretching which makes it tempting for hypermobile bodies to overextend, often without realising. Casual classes can also lack the structure necessary to help those who have been chronically ill to practice long enough to reap the benefits. At her first one-to-one Christiana demonstrated that she was hyperaware of the problems in her body, such as scoliosis, bulging discs and weak AC joints. She expressed that her body was fragile and that this reflected an emotional fragility. I wanted to help Christiana learn to bring attention to the health in her body and to work on revealing her innate physical and emotional strength. After introducing Christiana to the concepts of full body awareness, effortless movement and intentional practice, we worked on stabilizing one joint in her body. She then did this for herself for a series of other joints. Within one session Christiana was able to demonstrate more and more complex postures, finding alignment and stability from within her body. Christiana began a daily home practice, including warrior postures that cultivate a somatic experience of strength. She found she had more energy for chores around the house, particularly her love of raw food cooking. At her second one-to-one Christiana’s questions were all about how she could find more stability and health in her practice, rather than expressing the things in her body that were holding her back from that health. While Christiana knew that she wanted more energy, she was initially unable to explain what she wanted that energy for. I helped her identify that raw food cooking was a passion for her and find ways for that passion to help others in order to give meaning. 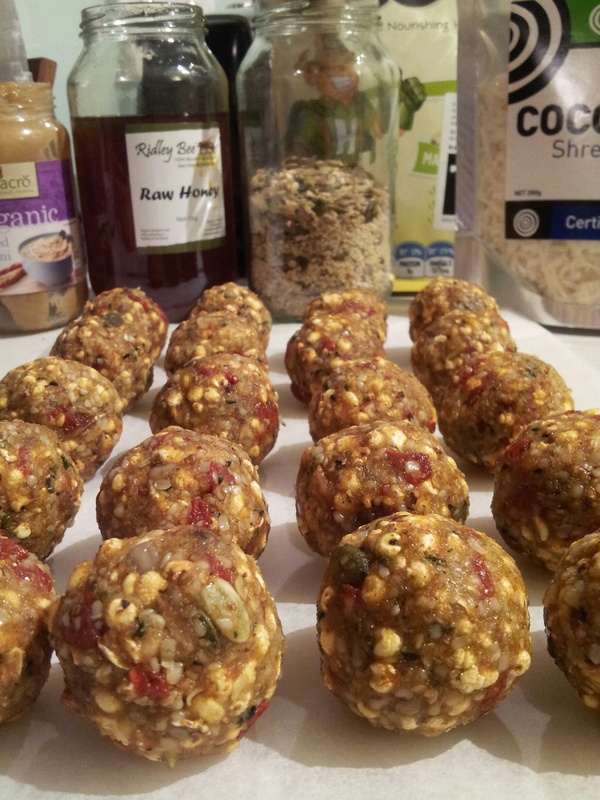 Christiana provided raw bliss balls for morning tea at the last Yoga for Pain workshops and they ignited conversations about healthy eating. She is now putting together ideas for a trial raw food workshop for Fibromyalgia sufferers. Yoga for Pain gives hypermobile people time to find stability around their joints, recognising that balance is not something we arrive in statically, but a state of dynamic equilibrium. When I help someone who has lacked confidence in their body the skills to work it out for themselves, they are able to build their physical and emotional resilience and begin their own journey to help others.